Sweet and complete home on one-half acre in the country, with no HOA and very low taxes. There is a lot to like here, from the inviting front yard landscaping to the spacious back yard. Living room and kitchen have vaulted ceilings, to create a sunny and nice atmosphere. Home has ceramic tile flooring throughout, with attractive accent squares in the living room. The kitchen has lots of cabinets, laminate counters, and an island, and is open to the dining room, great for get-togethers. Kitchen appliances will stay, including the brand new microwave hood. From the dining room, step into the family room, which leads to the back yard through French doors. The large master bedroom has a walk-in closet and private bath with step-in shower. The other two bedrooms share the second full bath. Home is on well and septic to save you money on your water bill. The well is 6 years old. The complete AC system and ductwork have just been professionally cleaned. 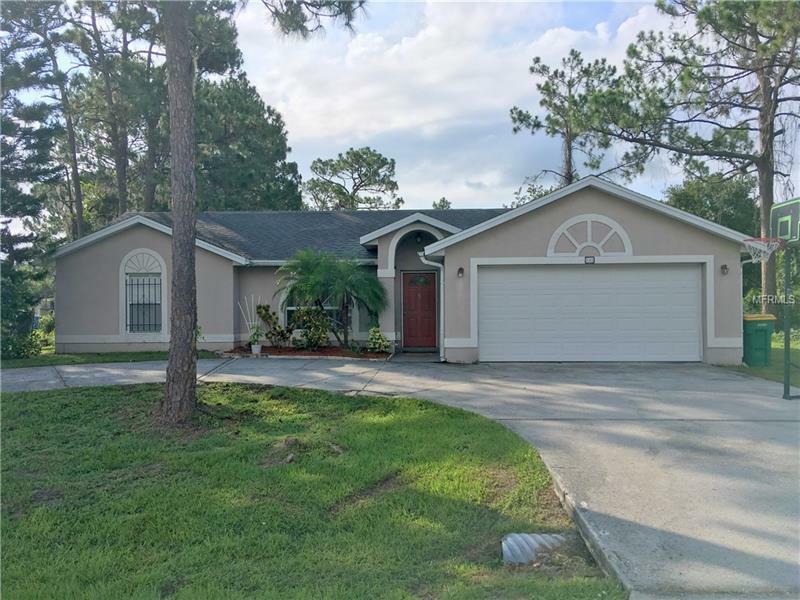 Check out this home with a country atmosphere that is a short drive away from Lake Nona Medical City, Orlando Int'l Airport and the Greenway Route 417, gateway to Orlando.